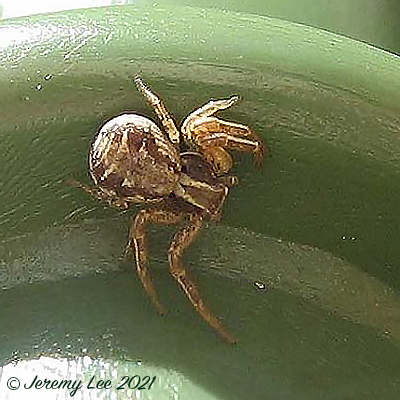 The crab spider Xysticus cristatus occurs in almost every habitat type, but is shade intolerant and rare in woodlands and closed canopy habitats. Large numbers can be found in grasslands and habitats which have undergone some degree of disturbance such as quarries and agricultural fields. In grasslands, this spider exploits a flexible hunting position either at the tips of vegetation or on the ground surface. As a consequence, the diet is extremely varied and comprises flying insects, including bees and butterflies when positioned in flower-heads, or ants, spiders and other soft bodied prey when ambushing prey on the ground. Immatures have been found ballooning, particularly between the months of July to September. Adults have been recorded from February to December, with a male activity peak in May and June. The species is widespread throughout most of Britain.